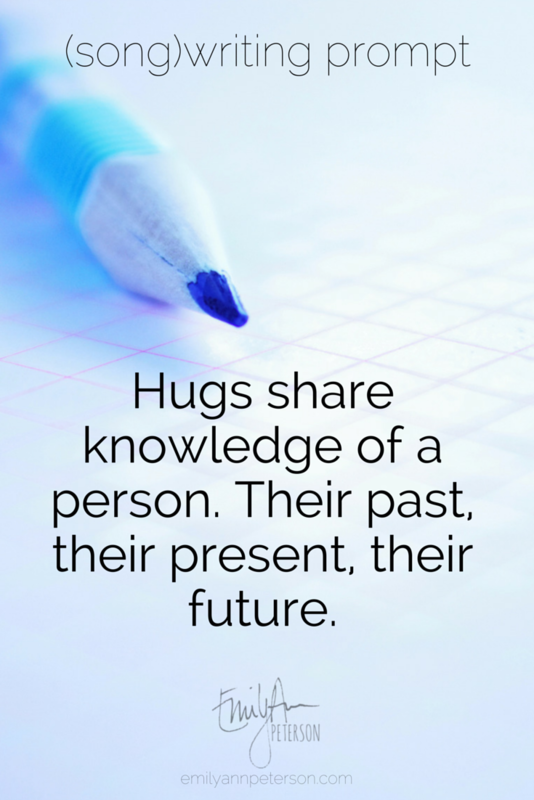 Further prompt challenge: Imagine a world wherein hugs shared information. What would it feel like to download/upload someone else's past, present and future through just physical touch? Does it hurt? Does it feel good? Does it relieve you of burdens? or make life heavier? Would you live in a bubble? Would you run around hugging everyone you meet? Who would you chose to not hug? Who would you wish to hug?